A Bill of Lading (abbreviated to B/L) is one of the most important documents in the global trade transactions. Contrary to popular belief a bill of lading is not a contract of carriage between a carrier and shipper, but only an EVIDENCE of the contract of carriage incorporating instructions based on the sales contract. It is only an evidence because the actual contract of carriage was already established when the shipper discussed and accepted the rates and made a booking with the carrier. A bill of lading issued in the right form also serves as a document of title to the goods which means the title is further transferable to other parties as per the endorsement of the holder of the bill of lading. The bill of lading as a transport document has been around for several decades, performing the above roles in global trade. 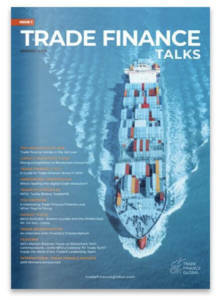 There are different types of bills of lading used in the different shipping trades like liner trades and tramp trades, wet bulk and dry bulk etc..
Negotiable Bills of Lading, Straight Bills of Lading, Sea Waybill of Lading are the main types of bills of lading issued by a carrier and each of them perform 1 or more of the above-mentioned roles of a bill of lading. None of the above has changed in the last few decades and there is no sign of any of the above changing any time soon. However, one thing has changed and that is Innovation and Digitisation. There has been a big push in the last few years to digitise the process of bills of lading and using electronic bills of lading more and more. Blockchain, the “immutable” hero of technology has been hailed by many as the answer to many of the issues facing the shipping, freight and logistics industry currently. Recently, Pacific International Lines (PIL), successfully issued an electronic Bill of Lading (e-BL) using blockchain, reducing the administrative process of transferring the title deed from seller to buyer from the usual five to seven days to just one second. This particular transaction by PIL was significant since it was tested on a shipment of 108,000 mandarins in 3,000 cartons in time for the Chinese Lunar New Year 2019. Perishable items such as fruits, meat etc usually shipped in reefer containers need quick data and document transfers to avoid any delays that can cause the product to be spoiled. Electronic bills combined with blockchain technology can fully automate the documentation process which reduces document processing significantly as the bill of lading is transmitted digitally which allows goods to be delivered quickly and efficiently. Apart from quick document handling time, by using the electronic bill of lading, clients can also benefit from lower operating costs such as electricity (in the case of reefers) and also save on demurrage, detention and port storage. This innovation in bills of lading can also be used to reduce documentary fraud which has seen a sharp increase in recent years. Cargo and document fraud accounts for almost 40% of all maritime fraud. Blockchain enabled bills can counter this with the real-time visibility offered by blockchain as all transactions are traceable and tamper-proof providing greater security. 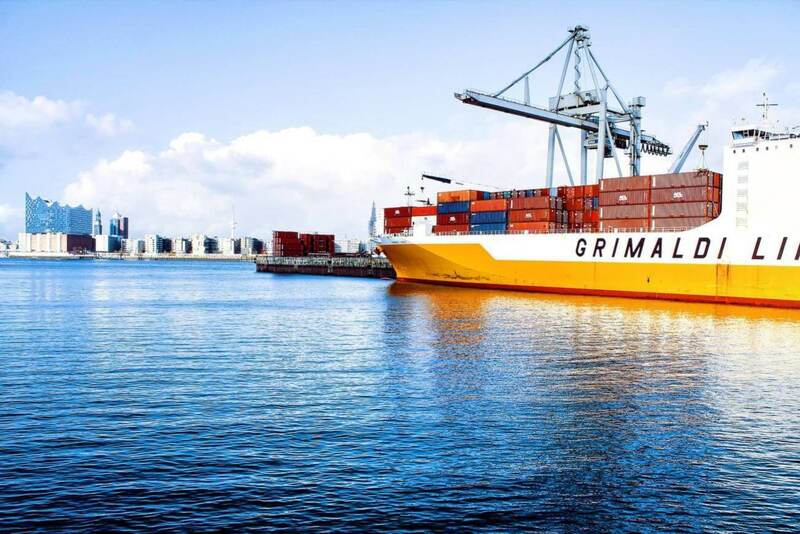 Lines like ZIM line have successfully concluded pilot programs with some of their leading customers to test this solution for trade activities on multiple shipping lanes. From their exploratory transactions, ZIM Line has established that the blockchain technology can not only replace paper but also improve current activities which rely on emails, fax, and other existing tools. Using innovative blockchain processes and applications, companies are reshaping the global logistics industry replacing paper Bills of Lading with electronic versions. Innovations like this have demonstrated to clients as to how the entire shipment process can be simplified and made more transparent with considerable cost savings. These electronic bills of lading are seen as the solution for the various factors and problems involved in the preparation, checking, transmission, hand over, payment and many other intrinsic activities involved in the process of a bill of lading, especially if you lose an original bill of lading. 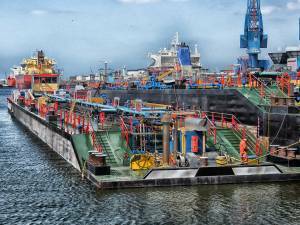 Want to find out more about shipping and transport? Hariesh Manaadiar is the author of this educational blog about Shipping and Freight Resource. Hariesh has been in the dynamic shipping and freight industry for over a quarter of a century and worked in several sectors of the industry like clearing & forwarding, vessel operations, stowage planning, equipment control, sales and marketing and management, in various countries.